This freshly painted 2-bedroom, 2 bath condo on the first floor features 1133 total sq ft and is the "Arabian floor plan. 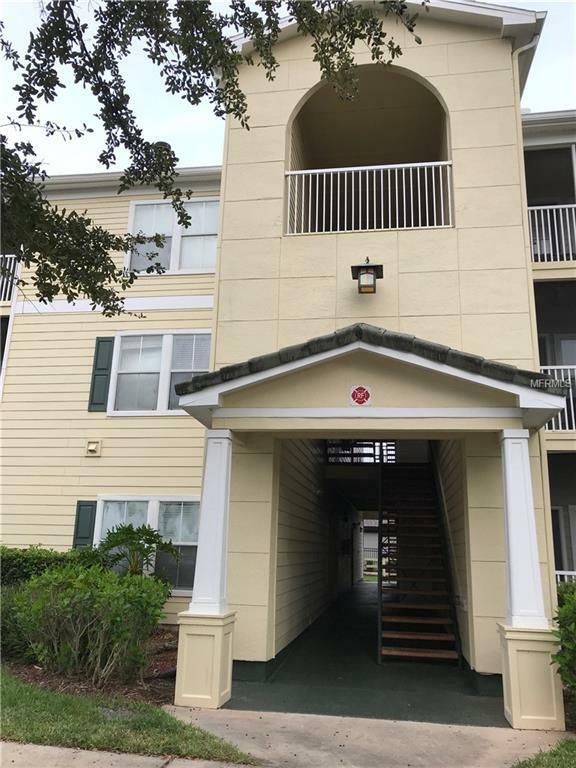 This gated community features an array of modern amenities and is in a desirable area of New Tampa, walking distance to Muvico theatre, restaurants, shops and close to I-75 ramp. Some features of the community are: pool, hot tub, screened grill room, clubhouse with media center, volleyball court, fitness center, swimming pool, tennis courts, business center, car care center, and fenced playgrounds.Features of the unit ground floor unit, high speed internet available, cable ready, neutral colors, crown molding in every room to include baths, textured walls/ceilings and blinds throughout. Kitchen is tiled, has maple cabinets with molding, wine rack above refrigerator, stainless steel refrigerator, stainless steel dishwasher, stainless steel smooth top range, stainless steel microwave, granite counter tops, breakfast bar and large pantry. Separate dining area (carpeted) off kitchen. Laundry room has faux wood floors, washer/dryer and ventilated shelving (off kitchen). Living room has carpet and door to patio which is screened and covered. Master suite has cream carpet, crown molding, walk in closet and ceiling fan. Master bath has oversized tub/shower combination, tiled, light cabinets, faux wood floors and linen closet. 2nd bedroom has cream carpet, ceiling fan and closet. Second bath has faux wood floors, tub/shower combination and light cabinets. Additional Pet Fees Pet Allowed At Owners Discretion. $300 Non Refundable Pet Deposit.